The American League West looks to be extremely tight this season. It could easily be a three-team race to the finish. Will the World Series champs come from this division? Chances of that happening are slim due to the fact that both the AL East and Central feature top teams that are deeper and more talented. Still, there are some fine clubs in the AL West. The Los Angeles Angels under Mike Scioscia have been fairly successful; despite having one of the best pitching staffs in the league, the Angels may not have quite enough to take the division. The major problem concerns the team’s lineup. Vladimir Guerrero and Juan Rivera are fine hitters. But minor improvements at the plate in the off-season,—Shea Hillenbrand and Gary Mathews—will help but aren’t enough to take this club beyond the division. The Oakland A’s lost the offense of Frank Thomas and the fine arm of Barry Zito. Coach Bob Geren replaces Ken Macha and is pegged to fit in with GM Billy Beane’s theories regarding a player’s value. Beane has been able to build a team that’s competitive for the division title but not as a championship contender. The Texas Rangers’ new manager Ron Washington is expected to be a positive force. He replaces Buck Showalter. The Rangers offer some solid starters but are thin at the bottom. Shortstop Michael Young has become one of the best young players in the league. Along with having a good lineup, the Rangers defense is extremely effective. Ichiro, Seattle’s great right fielder, has not been able to make this team a winner. Starting pitching and lack of run production are both major concerns for this club. Manager Mike Hargrove, in his third year, is expected to finally make a difference. If he doesn’t he’ll be out. Click on team name for individual team preview. All 30 MLB teams are covered in our annual 2007 MLB season preview from Maddux Sports. We have broken down the teams into the divisions the play in. To find the baseball preview of your favorite team click on the division they play in and read up on our division predictions as well as individual MLB team previews. Click here to return to the current baseball preview page. 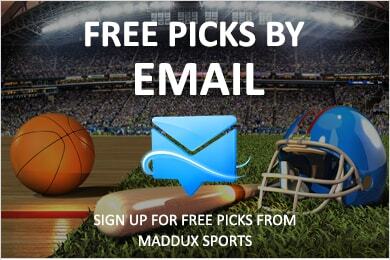 Free Baseball Picks at Maddux Sports!